Now, I must say, these are quite the special recipe. 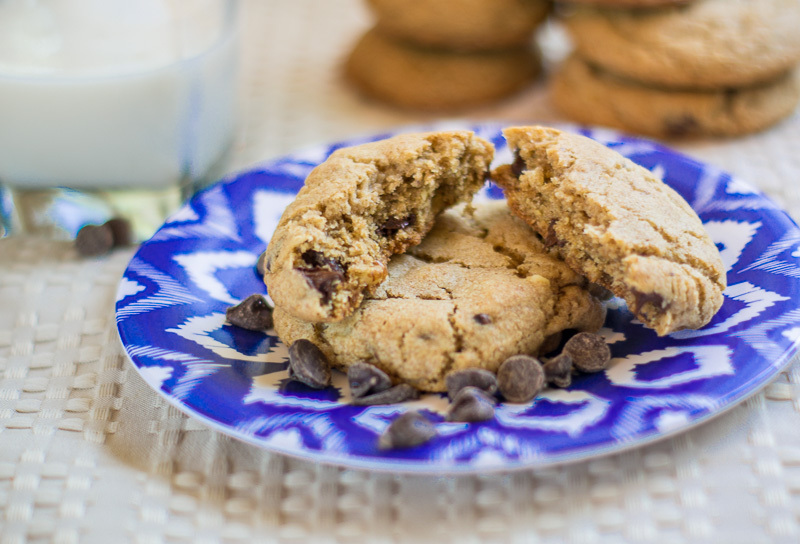 I was rummaging around the internet to find the best recipe for chocolate chip cookies, and I stumbled upon this little personal site called Steve McShane, who is an agri-businessman from California. I wouldn’t have ever known who he was had he not posted a recipe section on his blog! After giving them a try, I concluded that yes—these deserved the title for EPIC cookies, and not just because of the taste, but for the size. I’ve made them as big as your hand, and as small as a half-dollar, but never-the-less, they’re amazing. A few notes: I HAVE used bread flour, whole wheat, and good old all-purpose, but I am really aching to try cake or pastry flour. Again, ingredients make a huge difference, so listen to me AND Shane and get yourself some high end, top shelf butter, eggs, and flour. Other things that make a difference: An even-cooking oven, and quality cookware. Are we getting the point? Quality. Quality. Quality. Invest in some nice things that will last and give you the best product. Trust me on this. I love cooking with gas much better than electric, but you may find you have a different opinion. The best cookie sheets I’ve used yet are the USA Pans from Bed, Bath, & Beyond. And yes, they are truly made in ‘MERICA. Shane recommends busting up the chips before putting them in the dough. (Smash them gently in a bag with a meat tenderizer or rolling pin). I have NOT personally done this because I like the bigger chunks, but I DO recommend following his tip about cooling the dough in the fridge before shaping. It really does make a difference. 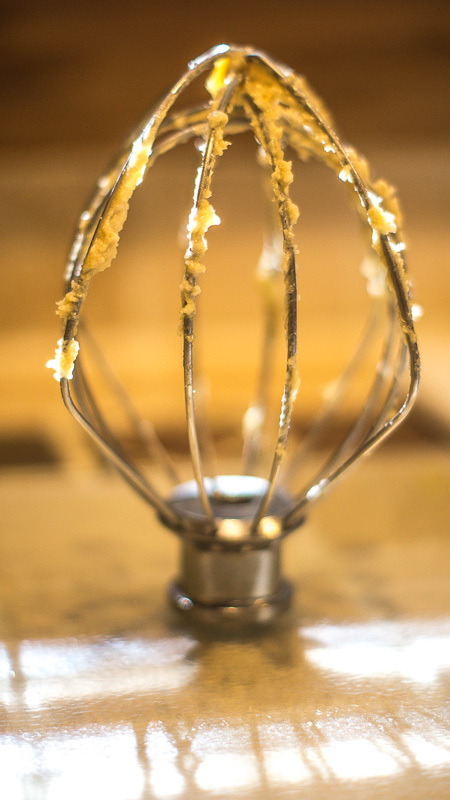 Without further ado–because who wants to read when they want to get down to baking? Here is the recipe! “1 cup high quality butter (Challenge is my favorite) – Room Temp. 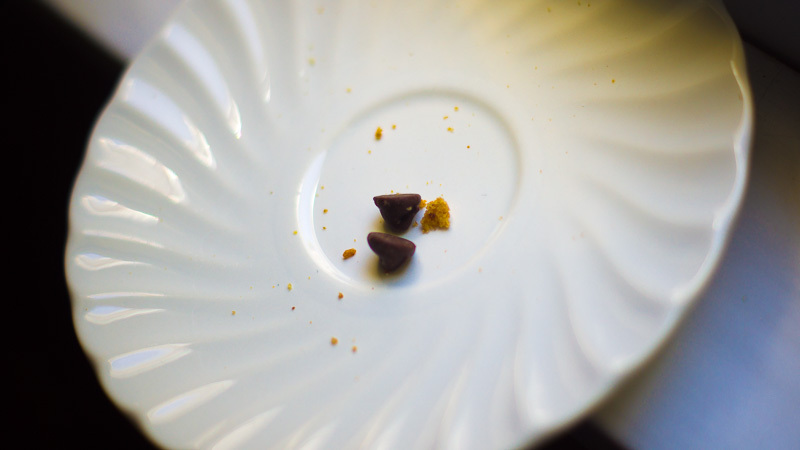 1 pound Ghirardelli Chocolate Chips (bust them up). Milk or Semi-sweet. Preheat the oven to 375 degrees. Line baking sheets with parchment paper or nonstick baking mats. I picked up mats at Bed, Bath and Beyond. They make a difference. 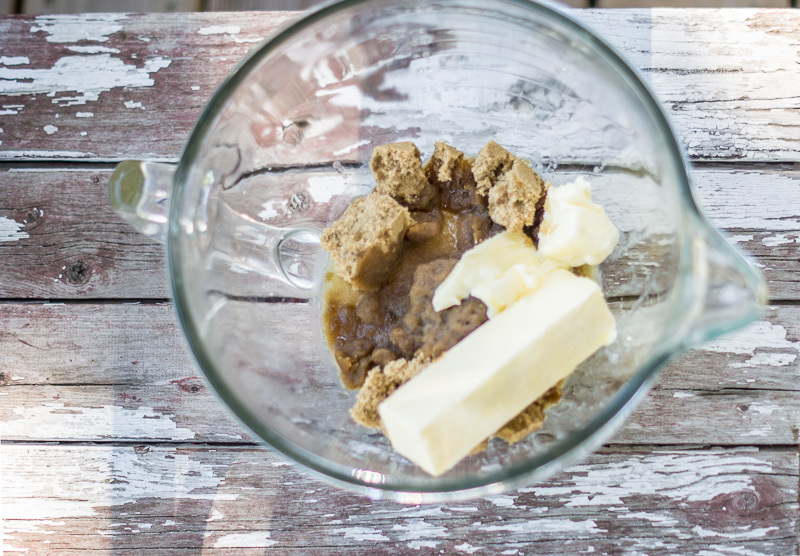 Start by mixing the butter and sugars together. Add the eggs one at a time and then the vanilla. Next you will fold a well mixed combination of the flour, baking powder, baking soda and salt. 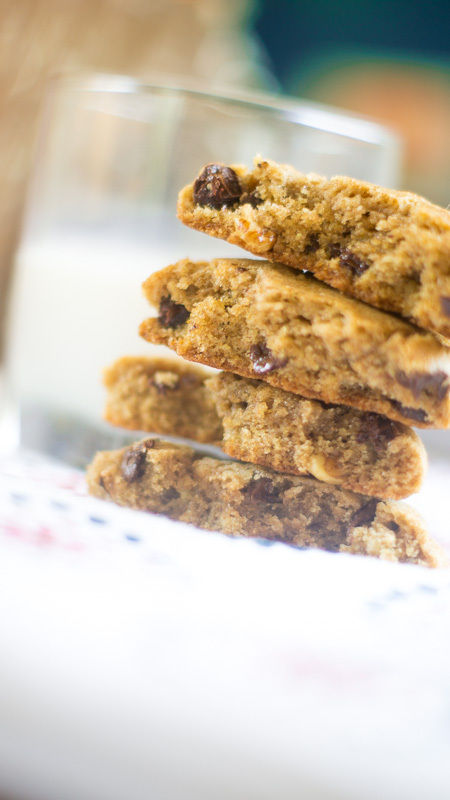 The final step is the addition of the chocolate chips. 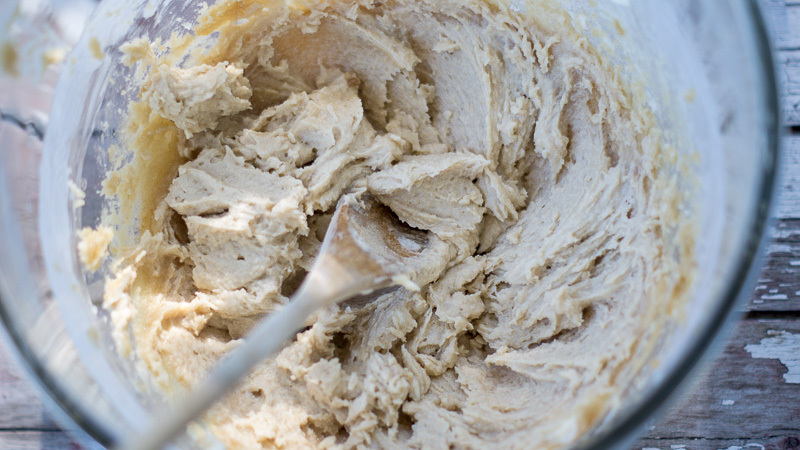 A key step is refrigeration of the dough. At least three hours. Believe me, this will help result in a well shaped cookie. 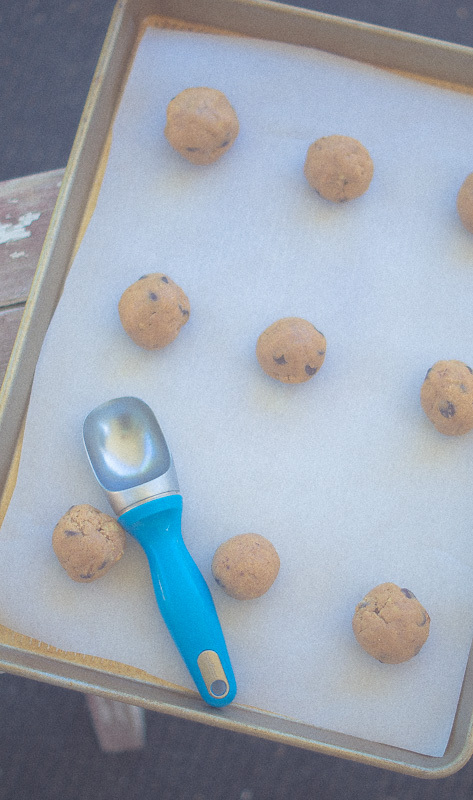 You will want to scoop the cookie dough onto prepared baking sheets using a table spoon. Again, prepared meaning USE PARCHMENT PAPER. NOT WAX PAPER! I have not used cooking spray and you shouldn’t need to, but the paper makes a difference. 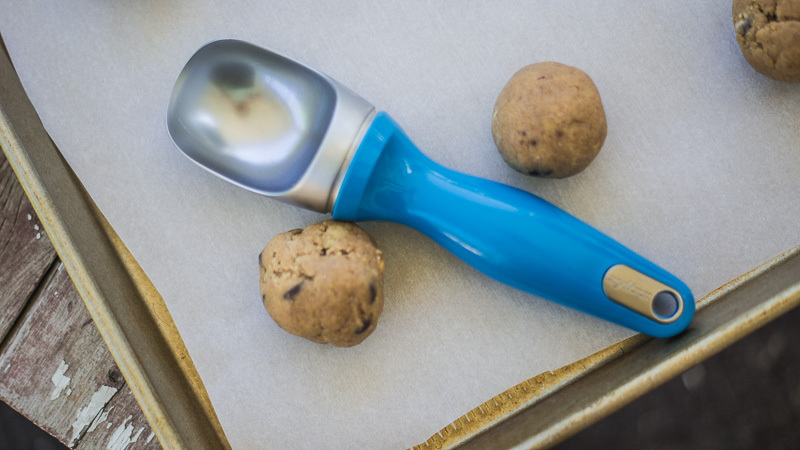 Tip: I use an ice cream scoop- but there are such things as cookie scoops. Set baking pan on top of cooling rack for at least 10 minutes. 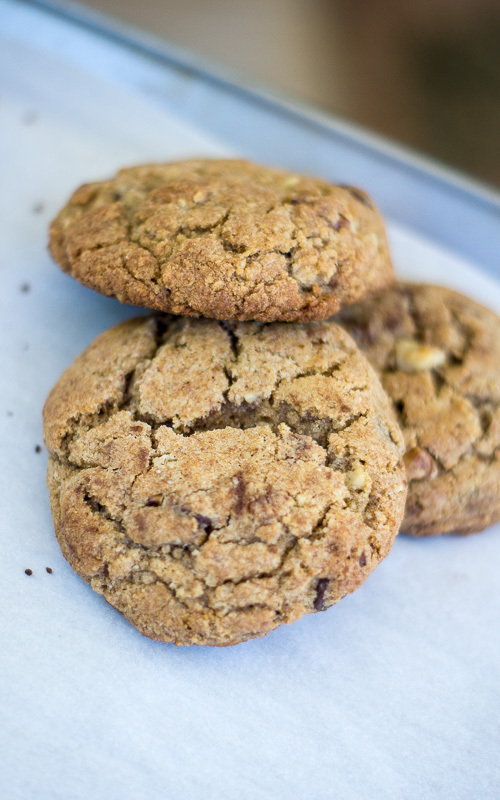 Transfer cookies with spatula to plate or other serving/storage plate or container. Eating them hot and fresh is always the best. But warming them up for about 10 seconds in the microwave works in a pinch if you want that hot & now flavor and warmth down the road. Always keep them covered in an air-tight space, and they should last for a week–although three days is the max they last in my house. YEILD: About 2 dozen or so, depending on the size you make them. Serve with your favorite drink…milk, chai, coffee, whatever! And get creative! 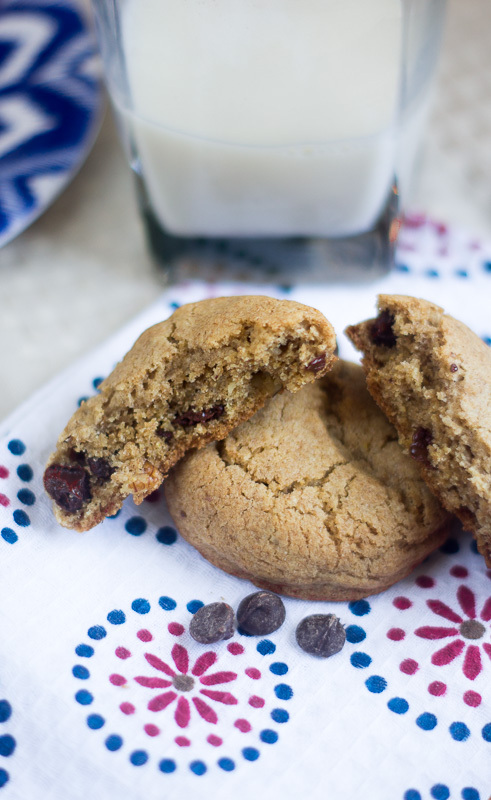 Add nuts, cranberries, oats, and the like to this recipe. Or get rid of chocolate all together. Go crazy!